Nowadays, many people are learning foreign languages; you should not be left behind. Learning Portuguese maybe something that has never crossed your mind, but there are numerous reasons why you need to consider learning the language. Learning Portuguese comes with a share of benefits. You can enjoy music, and it can also expand your job prospects. If you are still not convinced as to why learn Portuguese is important, then you should continue reading. Here are just some of the reasons you need to learn Portuguese. Portuguese is a language that is widely spoken, and you will most likely use it in many places. There are over 236 million people who speak Portuguese all over the world according to the Ethnologue. There are 222 million who native Portuguese speakers. Even though German is considered to be one of the most popular languages, it has only 76 million native speakers. It just means that there are many native Portuguese speakers compared to the foreign languages. The two countries that come to mind when you think of Portuguese are just Portugal and Brazil. However, those are not the only places where Portugal is spoken. Also, it is mostly spoken in these two countries. You will be amazed at the places where you will find the language being spoken. There are nine members in the comunidade dos países de língua Portuguesa which is English for the community of Portuguese langue countries. The countries are Equatorial Guinea, Brazil, Angola, Portugal, Cape Verde, Guinea Bissau, East Timor, Principe, Mozambique, and Sao Tome. Portuguese is also spoken in India, Sri Lanka, Macau, goa, and China due to historical ties. Therefore, you may find the need to use the Portuguese language when in South America, Europe, Sri Lanka, and even Africa. Romance language gives you an edge when learning Portuguese. Romance languages like Italian, French and Spanish share a lot of things in common with Portuguese. It is because the languages have the same origins. As such, you will find that some vocabulary, pronunciation and grammar overlap. If you know one of the romance languages, you will find it easy to learn Portuguese. Having a head start is always an excellent idea. You should not hesitate when you know one of the romance languages. Portuguese is the same as romance languages, and by learning it, you will become successful in gaining the other romance languages. You will not experience difficulty when learning, Spanish, French or Italian. Portuguese is the most popular among the romance languages. Here are popular tourist attractions where Portuguese is spoken. If you want to go to the beaches, then you will find learning Portuguese in handy. You can go to Brazil without worrying about getting your way around the country. You can also go to European destinations, and then Portugal is one of the places you can go to. It is not only affordable but beautiful. It is evident that soccer in Portugal and Brazil is a big deal. If you love sports, then you can enjoy watching if you know Portuguese. Learning Portuguese helps you to enjoy more soccer coverage. You can even follow your favorite stars on social media and understand what they are saying. If not for anything, you need to learn Portuguese because it is a beautiful language. Most people consider Spanish, Italian and French to the most beautiful language. The languages are associated with love. Portuguese is also a romance language. Thus, Portuguese is also impressive since it is also one of the romance languages. Even though Brazil has an unstable economy, it is still one of the largest economies in the world. The country has had recent growth in its economy. Thus, Brazil is a big player in international business. 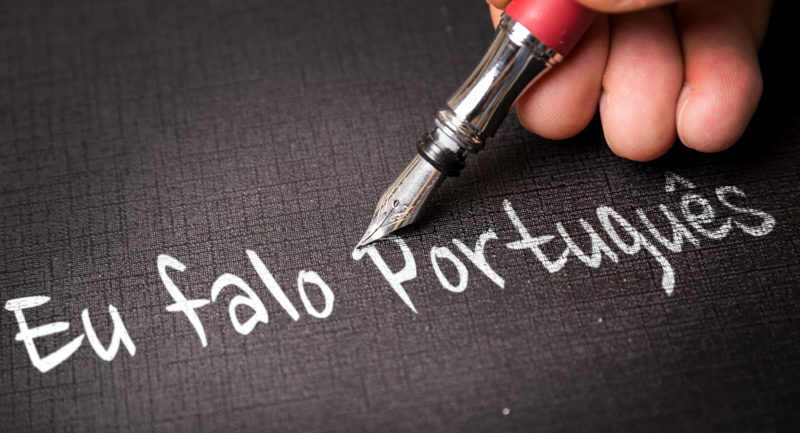 By learning Portuguese, you will increase your chances in the employment sector. Portugal has a history of exploration, and it has brought not only products but its culture and food, all over the world. By speaking Portuguese, you get the chance to enjoy the rich cultures created by the diversity. Brazil is one of the countries shaped by indigenous influences. The Brazilian culture also has immigrant from Germany, Italy, Japan, Spain, and Poland. As such, Brazil gets a lively culture that is unique from other religions. Even though Portuguese was the seven widely spoken language by 2016, it is not among the languages that are most studied in the universities in the United States. Many people speak the language, but few studies it. It means that by studying Portuguese, you will be able to interact with many people than students who study other foreign languages. It will also look cool on your resume having studies a language that is not commonly considered. It is not easy to find a Portuguese course, but some websites enable you to learn the foreign language with ease. One of the ways you can learn Portuguese is by using fluentU. FluentU uses music videos, inspiring talks, movie trailers, and news and personalizes them to teach Portuguese. Using this method allows you to learn Portuguese in no time. You can easily relate to the words since the site uses real-world context in teaching and its easy for any to understand. Portugal culture has diverse influences. Different groups have gone through Portugal. The country has thus been influenced by Moorish, Roman, and Viking cultures. Such a mix results into a rich musical heritage, delicious Portuguese food, and unique architecture. Portugal and Brazil are just some of the beautiful places you can visit when you learn Portuguese. There are also Portuguese speaking countries that have their own culture and history. Therefore, when you learn Portuguese, you will not be at a loss when it comes to exploring different cultures. As you can see, learning Portuguese offers you a wide variety of benefits. You will not only enjoy the unique culture, but it also opens ups door in employment. The advantage of speaking a different language will gain you any position, If you were still hesitant in learning Portuguese, now you have more than one reason to do so. You can get started with learning the new language and become a professional before you know it. The above reasons why learn Portuguese is important. However, everyone has their reasons for studying any given language.